Help Bobbie Fight Multiple Sclerosis! Bobbie Jean Michaud is suffering from a progressive and debilitating form of Multiple Sclerosis (MS), and she desperately needs your help. MS is a disease that affects the central nervous system. Bobbie’s symptoms have now become unmanageable and even walking has become almost impossible. 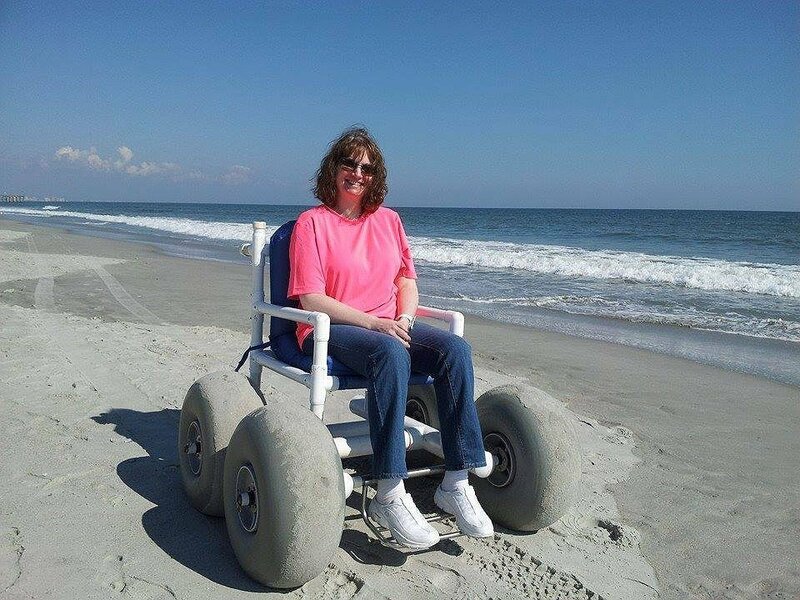 She uses a walker and an electric wheelchair as a result of muscle weakness and poor balance, and her disease continues to progress. Unfortunately, Bobbie has not responded well to conventional therapies and medications, and she is seeking more advanced and alternative treatment options to halt the progression of her disease. Bobbie is determined to get better and has recently been offered a promising treatment known as Hematopoietic Stem Cell Transplantation (HSCT) at Northwestern Medical University where they are holding a clinical trial for this treatment. Chemotherapy and the patient’s own stem cells are used to essentially reboot the patient’s immune system. It already has a proven success rate at stopping the progression of MS and even help reverse some existing symptoms. The last few years have been incredibly challenging for Bobbie and her family – emotionally, physically and financially. Several years of medical expenses and associated costs when accommodating a disability have taken its toll. This is where Bobbie needs the support, love and prayers from her community, family and friends. While Bobbie has been approved for HSCT, the cost to fund this treatment is monumental. Northwestern Medical Hospital has estimated that the uninsured expenses for HSCT and follow-up care will be in excess of $60,000. Costs will include travel, hotel stays, hardship expenses, medications and more. Bobbie’s primary insurance has already denied coverage for the treatment. Without your help, Bobbie cannot afford the tens of thousands of dollars required to pay for this much needed treatment and an opportunity to say goodbye to MS forever. Bobbie and her family are asking for your financial support. To help with the financial burden of Bobbie’s uninsured expenses, a fundraising campaign in her honor has been established with Help Hope Live, a trusted nonprofit organization that has been providing community-based fundraising guidance to patients and their families for more than 30 years. All donations are tax deductible to the full extent allowed by law, are held by Help Hope Live in the South-Atlantic Stem Cell Transplant Fund, and are administered by Help Hope Live for transplant-related expenses only. Please consider a contribution. I just want to thank those that have donated! It does not show me the names of those who have so generously given funds to help us pay for expenses associated with getting this treatment! Help Hope Lives keeps everyone’s identity hidden to insure privacy. I just want you to know I am so grateful and humbled by your generosity! Bobbie has finally gotten dates scheduled for treatment in Chicago!!! We still are in dire need of financial support. If you can help, please donate today! Thanks! The best news ever!!!! Bobbie was offered HSCT treatment by Dr. Burt in Chicago!! Our insurance had already sent us a denial letter, but we are hoping and praying that they will overturn their decision through the appeals process. If not, Bobbie still has Medicare. However, Medicare only covers 80%, and with no supplemental plan available, the other 20% will still be very expensive. We are reaching out to all our family, friends and the community to help us spread the word of our desperate need for financial help.